PALEO JAY SMOOTHIE CAFE: Paleo Quick Tip of the Day #39 Cure your headache or migraine- the paleo way, naturally! Paleo Quick Tip of the Day #39 Cure your headache or migraine- the paleo way, naturally! PQTD #39 Cure yourself of Headaches and Migraines forever! Even if you have suffered from chronic headaches and even migraines for years, it is quite possible to eliminate them, or at the very least minimize them in a completely natural manner. The key point is to adopt a paleo or ancestral type of diet, eliminating gluten entirely, and sugar as much as possible. This is the perfect first step, and hopefully you have already done it... if not, this is, as I said the first step. Primary suspect in this case- GLUTEN! Bread, pasta, wraps, pizza, donuts, in other words primarily wheat products- your body really doesn’t need them at all, and ever since wheat was genetically altered in the 1960’s and it’s gluten content, particularly certain harmful elements were magnified exponentially. These components of modern wheat gluten are harmful in many ways, including destroying the intestinal vili, and harming the microbes in the gut biome. Just think of it this way: eating modern wheat products is like pouring acid into your gut lining! Ironically, ancient versions of wheat, such as Einkorn wheat which is wheat from biblical times, seems to be relatively harmless to the gut, and to our health. But, given what we’ve just learned, that makes perfect sense, doesn’t it? So, let’s say we’ve eliminated gluten- we have sandwiches made with lettuce wraps instead of modern wheat bread, and otherwise just eat meat, vegetables, a few starches like white rice or ancient grains, and maybe a sweet potato or baked white potato on occasion, along with lots and lots of green vegetables! The BEST way to incorporate these veggies is by incorporating them in a paleo type of smoothie as I describe at PaleoJay’s smoothie cafe as the paleo smoothie. Have one of these smoothies on a daily or near daily basis, and virtually ALL of your nutrient, and micronutrient needs are being met. And that is another point about headaches- micronutrients are key in preventing deficiencies that supply our brains with what they need. Good FATS are very, very key, and coconut oil and pastured butter should be included in your daily Paleo smoothie as well. 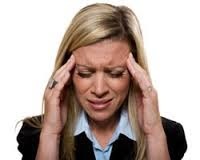 The last point about headaches and their prevention is stress relief. The components of this matter include adequate sleep- 8 hours should be the minimum sleep you get per night. And this should be quality sleep, with total darkness, no TV watching or iPhone viewing in bed before sleep- nothing allowed in the bedroom after bedtime except sleep! 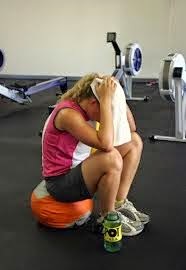 The other matter of stress relief, however, is stress from something otherwise very beneficial- exercise! Exercise is very crucial in a paleo type of lifestyle, but it should be done within reason; within paleolithic lifestyle principles! Paleolithic peoples never worked themselves to exhaustion, or to their ultimate limits. Neither do animals; because if they do, they become PREY. They are momentarily helpless, and ready for the slaughter. Same for you- exercise up to 80% or so- well and good. 90% if your life is in danger... NEVER 100%! Although we live in the modern world, and you won’t be eaten- you will be subject to physical damage, like headaches, muscle strain and damage, and damage to your structure, like spine and tendons. Enjoy peace, tranquility, long life, and a pain free existence!